Colloidal Silver Secrets: Is Colloidal Silver a Cure for Stubborn Pet Odors? Is Colloidal Silver a Cure for Stubborn Pet Odors? I recently received an email from a customer who said he had lots of neighborhood cats that were marking their territory by spraying on his front screen door in the early morning hours. Nothing he did could get rid of the terrible cat odor, or keep the cats away from his door. On a whim he thought of spraying the cat sprayed area with colloidal silver. He said not only the odor left, but the cats quit coming to his door in the mornings! 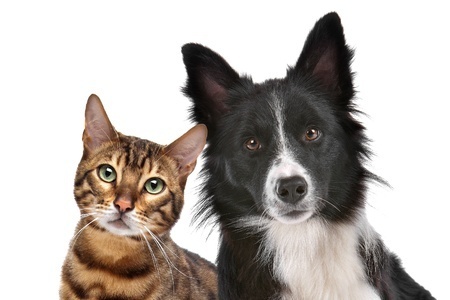 “I am VERY happy to report back that colloidal silver ELIMINATES pet urine odor! I recently discovered this after adding two new pets to the household. Unfortunately, both dogs (male and female) are particularly fond of marking on the carpet in my home office. For the first time I decided to give the carpet the smell test after cleaning. It LOOKED clean, but I could still smell what had been there; no wonder dogs go back to the same spot(s) with their sophisticated noses. So there you have it – colloidal silver gets rid of stubborn pet odors! When the FDA finally follows suit with the European health authorities and bans colloidal silver as a nutritional supplement (and they eventually will, believe me), I’m thinking we could sell it as a "pet odor eliminator" so people can still buy it (and use it however they darned well please)! After all, when the EU banned the sale of colloidal silver as a nutritional supplement in January 2010, enterprising colloidal silver vendors simply re-labeled their product as a “water purifier” and continued to sell it! And if colloidal silver generators are banned as well, I suppose we could re-label them as “pet odor eliminator” generators, as well. Hmmm. Long live colloidal silver! Important Notice for Colloidal Silver Users!